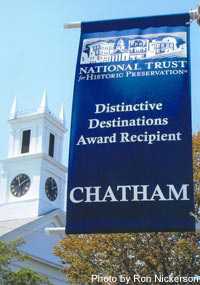 The National Trust for Historic Preservation, the country's largest private, nonprofit preservation organization, has selected Chatham as one of its 2007 Dozen Distinctive Destinations Award, an annual list of unique and carefully preserved communities in the United States. "It is encouraging to see communities so committed to the preservation of their historic landmarks, the revitalization of their downtown areas, and the protection of their unique heritage," said Richard Moe, president of the National Trust for Historic Preservation. "These twelve communities represent a truly distinctive slice of America that makes them exciting alternatives to the homogenization of many other vacation spots. It is my hope that more American cities and towns will follow the lead of these great destinations in preserving their own spirit of place." 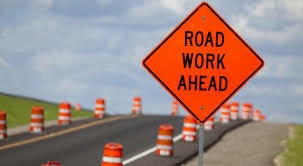 The 12 winning communities met the following criteria: well-managed growth, a commitment to historic preservation with a protected historic core and meaningful context, interesting and attractive architecture, cultural diversity, activities for families with children, an economic base of locally-owned small businesses, and walkability for residents and visitors. Since 2000, the National Trust has honored 84 Dozen Distinctive Destinations in 41 states. Chatham is the first town on Cape Cod, and only the fourth in Massachusetts, to receive this distinction. Read more about this Distinctive Destination!